For much of his professional life, the Chicago-born and casino-bred, Rosenthal has been the country's top handicapper. He was one of a handful of men who literally set the line for thousands of bookmakers from coast to coast. During the 1970's, and early eighties, Rosenthal ran four Las Vegas casinos simultaneously, including the world famous Stardust Hotel and Casino.Rosenthal is also credited with creatingthe first Race & Sportsbook (Parlor) in Las Vegas. Despite resistance from the traditional casino bosses, who believed exclusively in terms of table games and slots, Rosenthal had spent decades in and around the sports world to know that it could be the motherlode of casino betting.He created a space-age theater-like Race and Sportsbook at the Stardust Hotel & Casino that was copied by every casino on the strip. 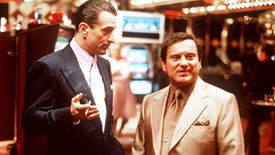 Hollywood superstar Robert De Niro, a two time academy award winner didn't know the deck was stacked. The "Ace" was up against a Royal Flush in Universal Pictures hit movie Casino*, a true to life portrayal of Frank "Lefty" Rosenthal. Nick Pileggi, celebrated author & Hollywood screenwriter of Wiseguy, Goodfellas & Casino describes his rise, demise, bullets, blood, blondes, and bombs... *Viewer discretion is advised! click here! The peaceful image we get from most casino movies, of how people calmly play slots, joke around a roulette table, and leave Vegas with a big smile and bag filled with cash, is far from the reality Frank Rosenthal lived in, as portrayed in Martin Scorsese's 1995 film Casino. This landmark piece of cinema took the Top Spot in Hollywood.com's 2008 feature, the "Top 10 Vegas Movies", against heavyweight films like "Bugsy" and "Ocean's Eleven", making it the undisputed king of Vegas movies and a definite classic. For anyone who appreciates a good mind for gambling strategy, Rosenthal is the admired kingpin. His genius excludes mere games of pure chance like the Irish lottery, although he confides that "...Irish girls are generally knockouts." But that's another story altogether. Love & Honor in Las Vegas. The stunning National Bestseller from the New York Times. The character name was fictional, but the man wasn't. 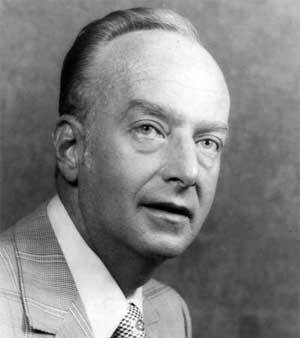 Award wining Author Nicholas Pileggi, based him on the real life of Frank "Lefty" Rosenthal. Click here! 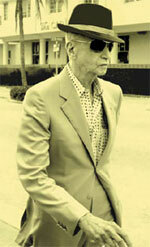 Frank Rosenthal and the movie "Casino"
Roberto Santiago of the Miami Herald interviewed Game theorist Frank "Lefty" Rosenthal, the man Sports Illustrated crowned as the greatest living expert on sports handicapping. Read the full uncut interview to see both the actual questions and Frank's answers before the editors got to the story. TickCo has premium sports tickets including NCAA Tournament tickets! 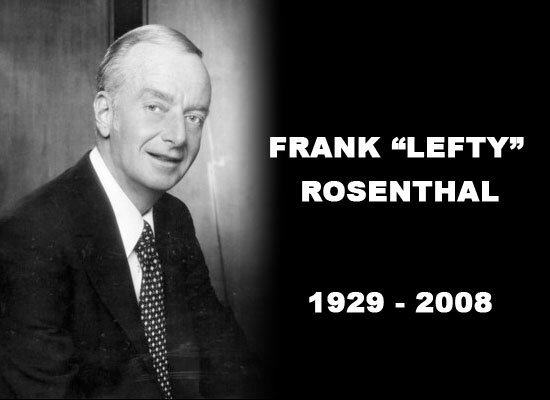 There are three kinds of peopleï¿½those who don't know who Frank ï¿½Leftyï¿½ Rosenthal is, those who are honored to be in his presence, and those who whisper nervously when they catch sight of him. It is the reaction Rosenthal experiences when he enters Prime 112 restaurant, the expensive steak house he frequents almost every day in Miami Beach... Read all interview..!! Sharp lines, and some great looking clerks. Pinnacle is where the pros play, the business was founded by experts for experts.